Emily Previti is WITF's reporter for Keystone Crossroads, a statewide public media collaboration focused on issues facing Pennsylvania's cities. She twice won the New Jersey Press Association's Art Weissman award for public service journalism for two watchdog projects. 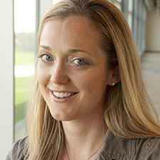 Before going to work for The Press, Emily covered suburban Chicago for Northwest Newsgroup. 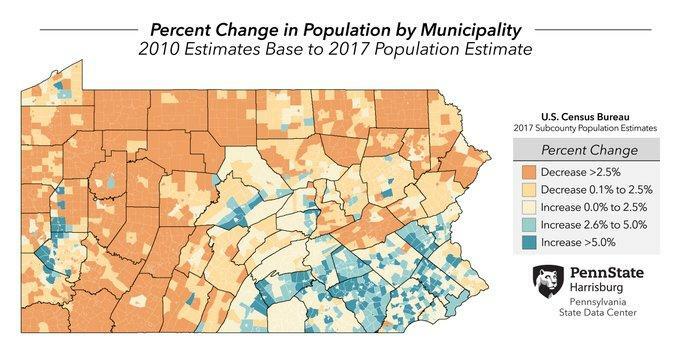 The U.S. Census Bureau’s population estimates show the state lost people during 2016, but added more than 18,000 last year, the most since 2012, according to a Keystone Crossroads analysis of the latest statistics. 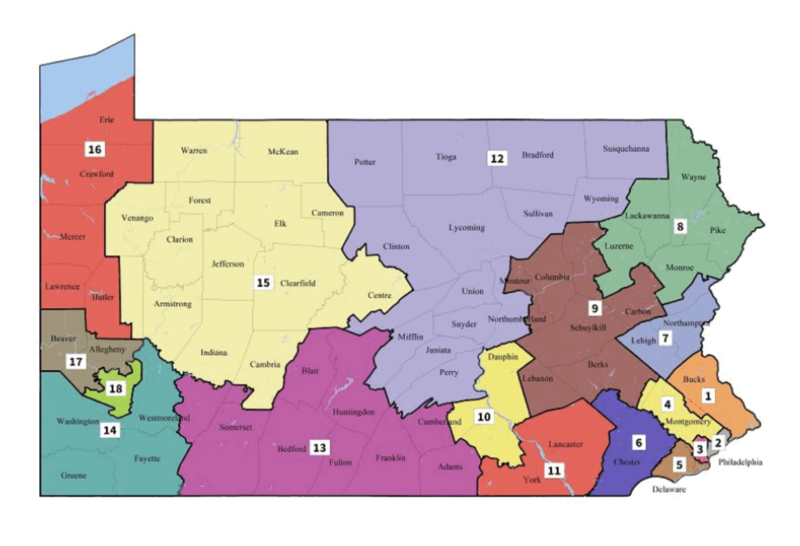 The Pennsylvania Supreme Court has enacted a new congressional district map that onlookers say is much more favorable to Democrats, replacing one the court overturned and deemed an unconstitutional partisan gerrymander last month. 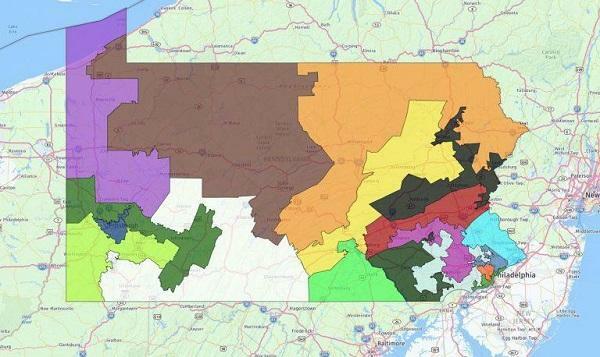 U.S. Supreme Court Justice Samuel Alito has denied the request for a stay on the ruling overturning Pennsylvania’s congressional district map. 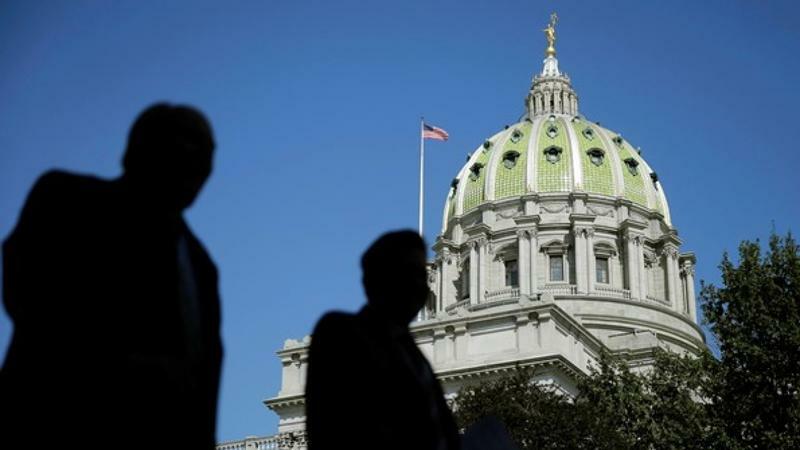 Republican lawmakers, who were sued for creating an unconstitutionally gerrymandered congressional map, had turned to the nation’s top court after the Pennsylvania Supreme Court’s split decision in January. Reading Mayor Wally Scott, a Democrat, has decided to focus on things he can change without relying on higher levels of government. “I don’t have any reason to need them for anything,” he said. So far his priorities have boiled down to four things: trash, parking, water and police. In most states, the legislature is in charge of designing congressional and state voting districts. Pennsylvania isn’t unique in that respect. But some say the commonwealth is home to some of the nation’s starkest examples of gerrymandering — where the shape of a voting district is manipulated to produce the outcome desired by the party in charge. 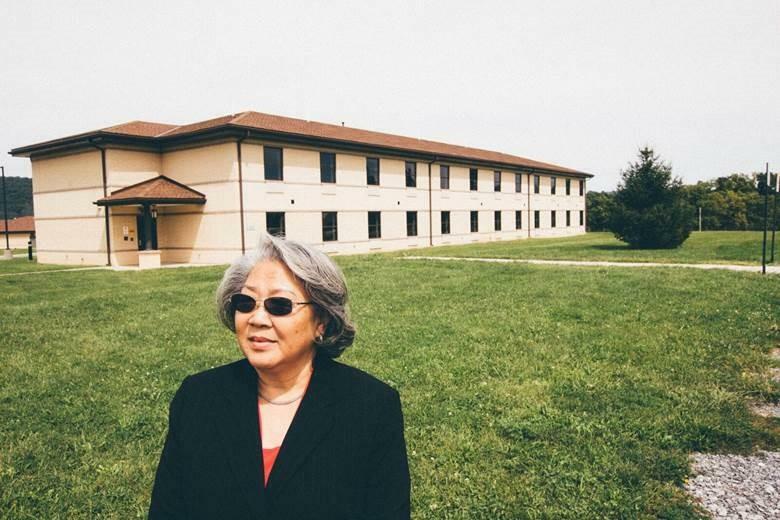 FORT INDIANTOWN GAP – Even after 40 years, Ho-Thanh Nguyen remembers. “That’s an old, old, old building right there. All wood,” she says as we drive past a structure that is, like many on the military base, non-descript. 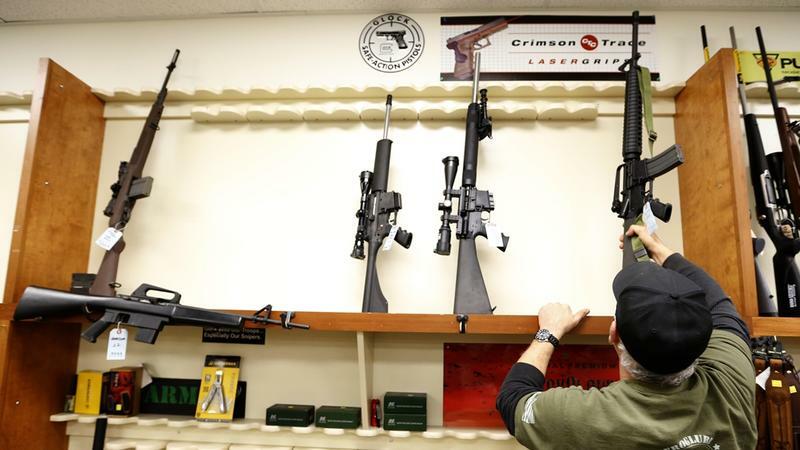 State legislators are again discussing bills that would make it easier to sue municipalities over local firearms ordinances that conflict with Pennsylvania law. The measures would require courts to award plaintiffs legal fees, even if they lose the case. Predecessor legislation had the same provisions for court costs — for pretty much anyone, regardless of whether they own a gun or had even been to the town with the contested rules. 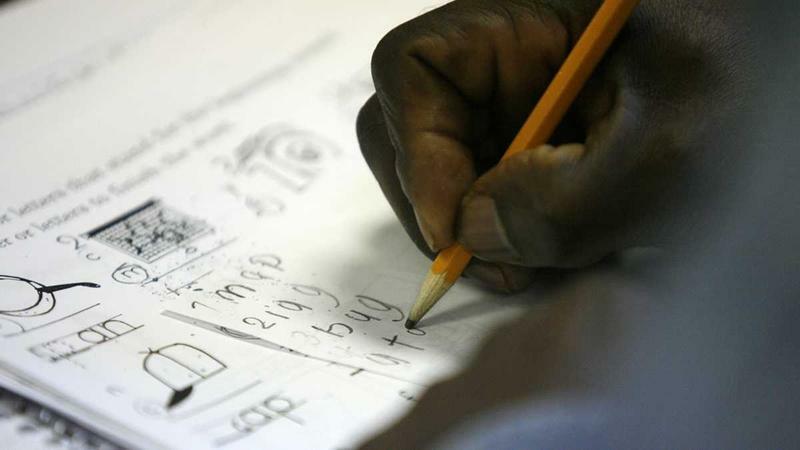 The suit alleged the school’s practices violated the Equal Education Opportunity Act. A federal judge agreed, as did an appellate panel. So what were the practices? 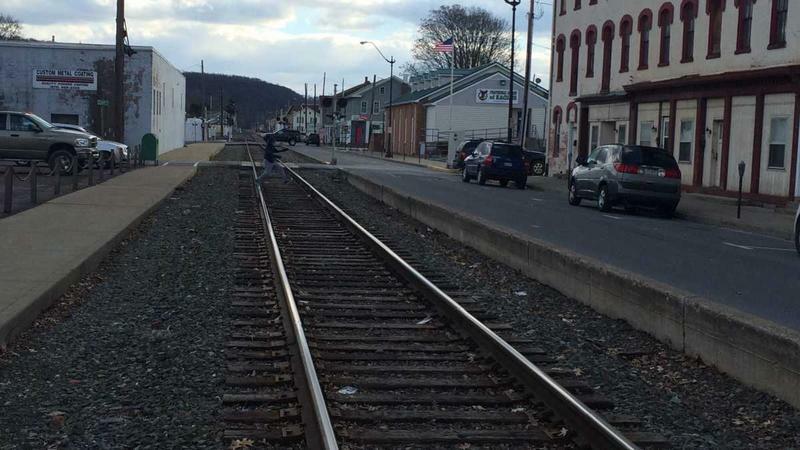 Immigration and Customs Enforcement officers have been increasingly present in multiple Central Pennsylvania cities in recent weeks. The activity has been affecting entire communities, according to advocates and attorneys in the area. "This is not just happening once per month, this is happening every single day," says Gloria Vázquez Merrick, director of the Latino Hispanic American Community Center in Harrisburg, where she says knows multiple families with one or both parents now detained. Imad Ghajar and his wife Marwa Hilani were born in Aleppo, Syria, met there, and didn't have plans to leave. 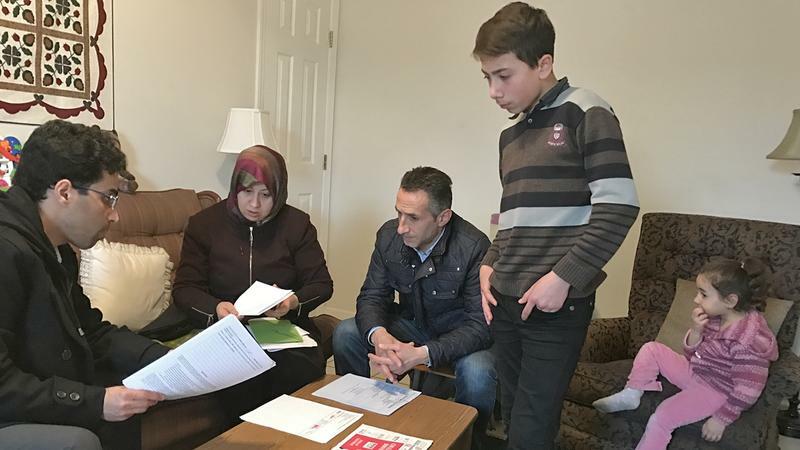 "Even in the schools, there wasn't security," Marwa, 37, said recently, through a translator, at her family's new home in Lancaster. "In the middle of the day, there would be a bomb, and someone would die. The area was not safe ever." The dust from the explosions also made their daughter's asthma worse, and it was increasingly difficult and dangerous to get her treatment. 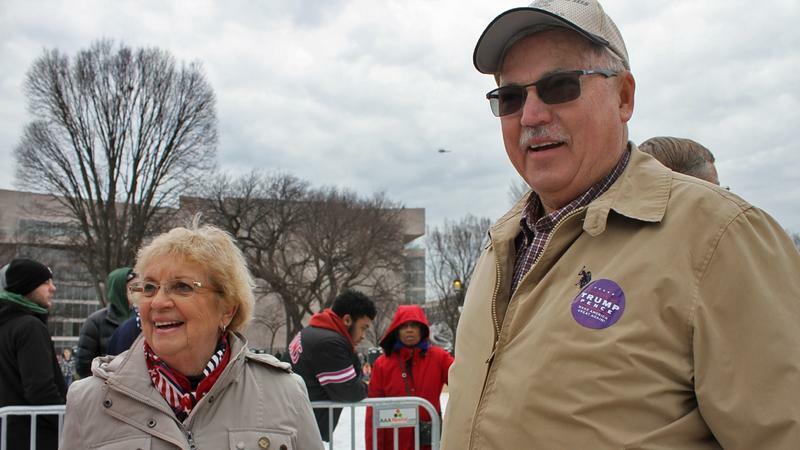 Marian Spotts and her husband, Phil, rode a bus with other Trump supporters 350 miles from Erie County, to Washington, D.C. for Inauguration Day earlier this year. After Trump’s speech, we asked Marian for some feedback. Marian says immigration is an important issue for her. 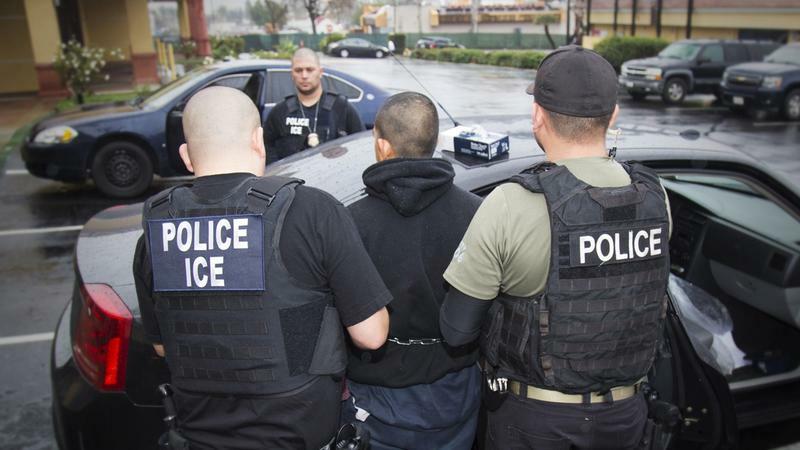 The Municipal Sanctuary and Federal Enforcement, or SAFE, Act would restrict state funding for communities where law enforcement agencies don't cooperate with Immigration and Customs Enforcement. The bill would require municipalities to prove they're complying with the law when submitting applications for certain state grants, loans and economic development and other programs. More than$1.3 billion could be affected, according to estimates from legislation sponsors. Communities patrolled full-time by Pennsylvania State Police, instead of local officers, would pay $25 per resident under the budget proposed for next year by Gov. Tom Wolf. 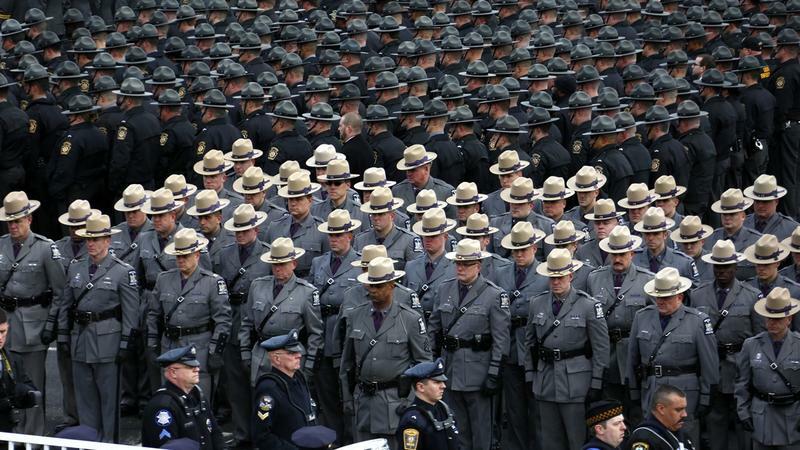 Troopers are solely responsible for policing more than half the state's municipalities, home to 21 percent of Pennsylvania residents. 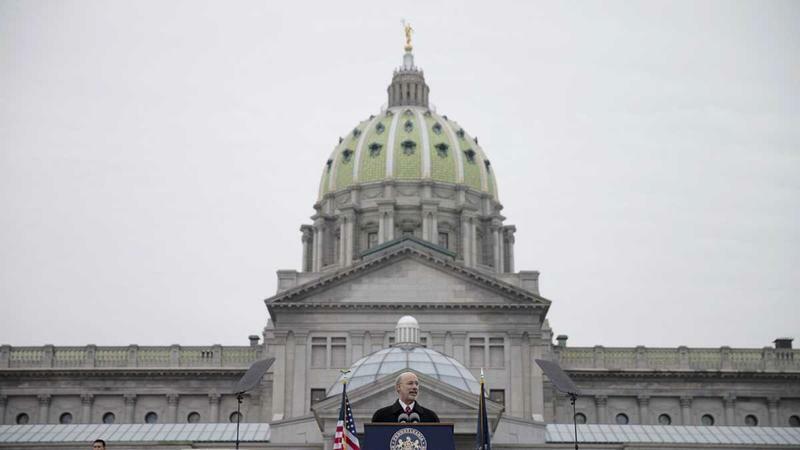 Pennsylvania communities that don’t cooperate with federal immigration officials would not only possibly lose some federal funding under President Trump’s latest executive order — they’d get cut off from state grants, too, under a bill that cleared a state Senate panel Wednesday. More than 2,500 municipalities and 67 counties just released their budgets for the upcoming year. So what are the trends? What rises to the top? 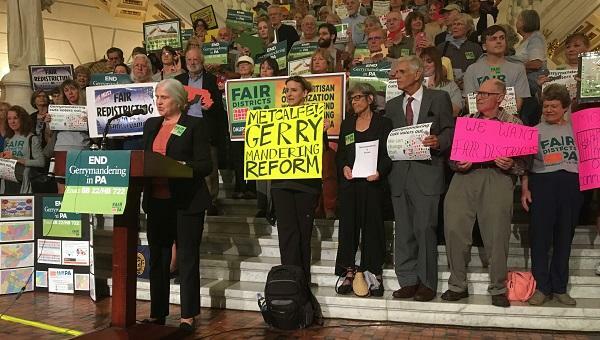 It's tough to say in any kind of comprehensive, precise way because, well, Pa.'s governance is really fragmented. Statewide data also tends to publish on a two-year lag and submissions are inconsistent in number, content and form. 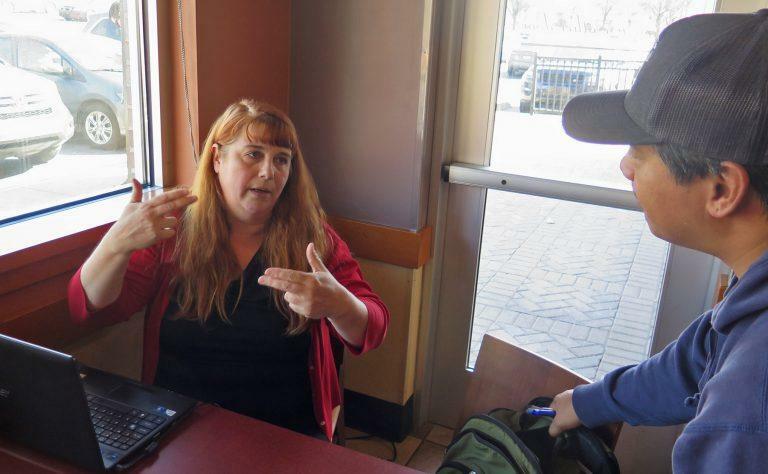 Most challenges to gun-control ordinances in recent years in Pennsylvania have been dismissed outright — generally, because the plaintiffs lacked standing after the courts overturned a state law known as Act 192. 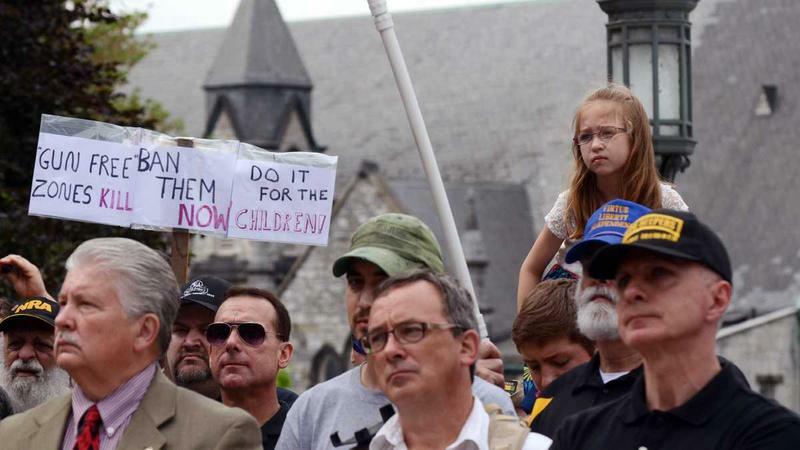 Lower Merion Township’s effort to ban the use of guns in its parks is different, however, because one plaintiff in the suit challenging that ordinance resides in the township. While Montgomery County Court ultimately upheld Lower Merion's ordinance, an appeals court issued a 2-1 decision a couple weeks ago against the township. 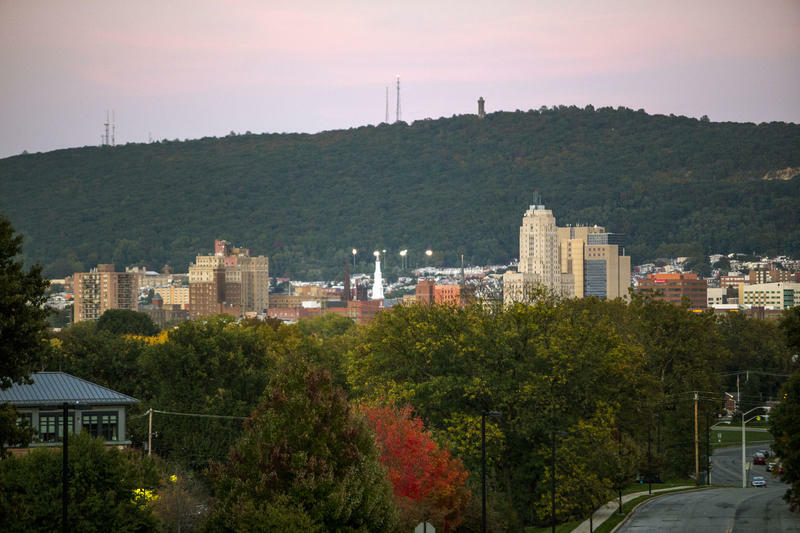 Some counties in Pennsylvania go without updating their property values for decades, far longer than the six-year maximum wait recommended by the International Association of Assessing Officers. Almost everywhere else, revaluation is either handled at the state level or required at a set interval by state law, according to IAAO surveys. The Keystone Crossroads team reflected on our body of work over past year and picked these highlights. Take a look. Feedback is welcome. So are suggestions for next year's coverage. 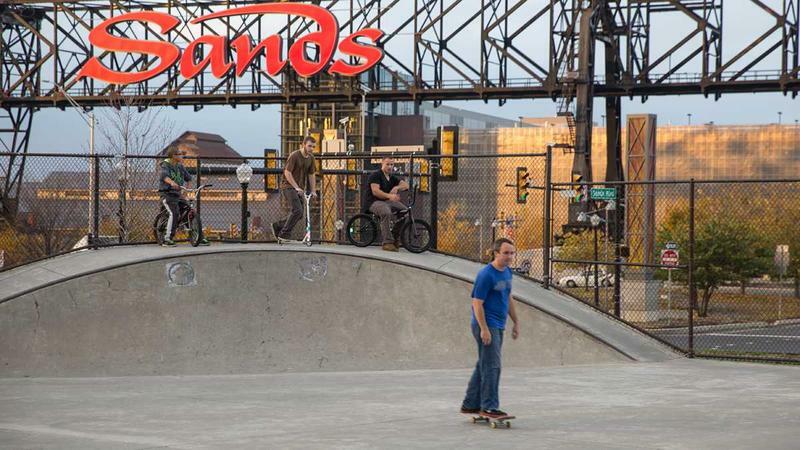 READ MORE Keystone Crossroads is a statewide public media initiative reporting on the challenges facing Pennsylvania's cities. WPSU is a participating station. 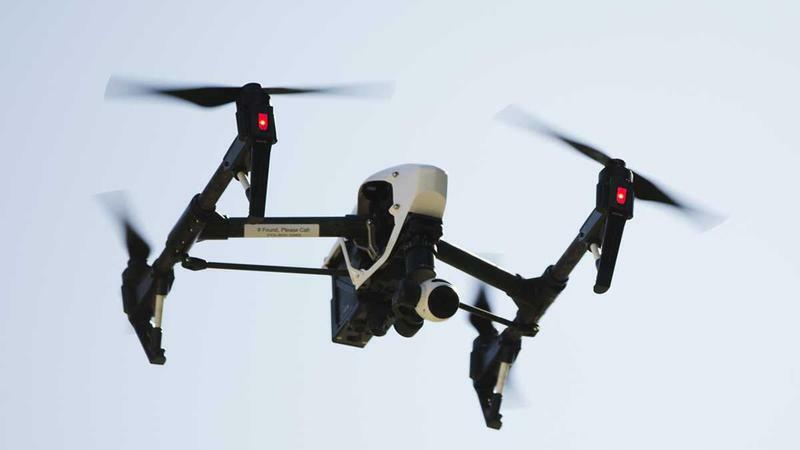 The Federal Aviation Administration is due to release rules for drone operation over populated areas in a couple weeks. Interest is high in many sectors, including local government. It might seem like some cities only just stopped reeling from the last recession. Now many officials want to prepare for the next economic downturn. 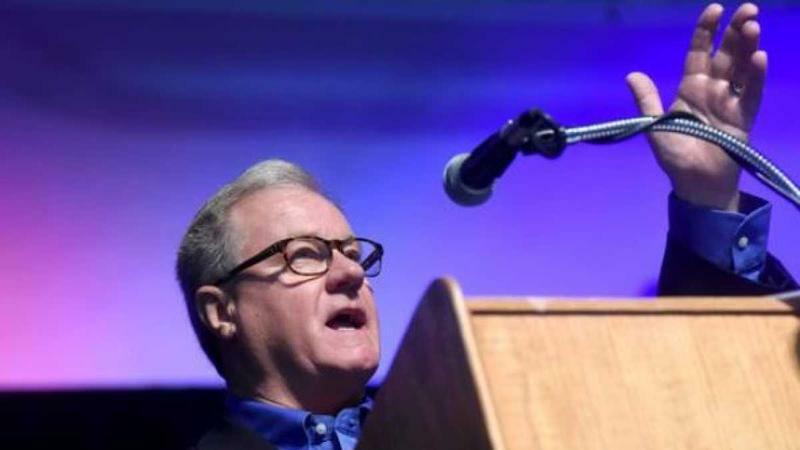 An expert panel offered some insight recently at the National League of Cities summit in Pittsburgh. One way to prepare is through something called stress testing — basically, financial modeling to help governments budget resiliently. There are requirements at polling places, but help doesn't reach everyone who needs it. Elections have been hectic for Cesar Liriano for most of the nine years he's lived in the city of Lebanon. Presidential elections are craziest, but he's busy during the lower-turnout local and gubernatorials, too. 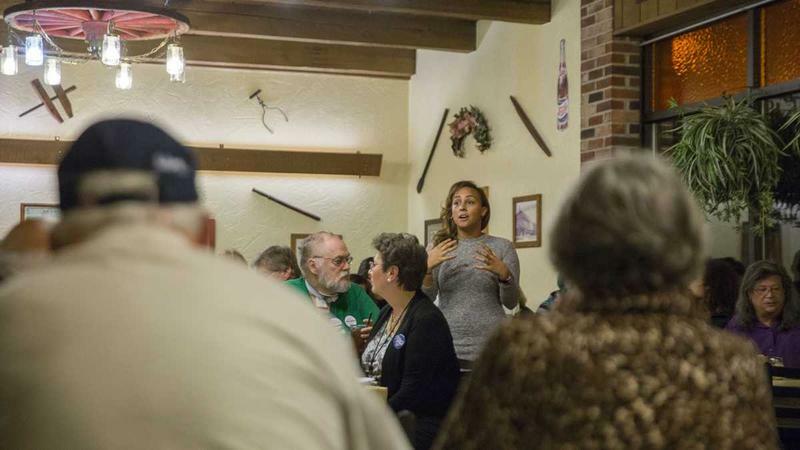 "Normally, I get up at 5 o'clock every day, doesn't matter elections or not," Liriano says. "I go down as soon to the polls as soon as they open, I go and vote with my wife, and then I get prepared to be running from one poll to the other." 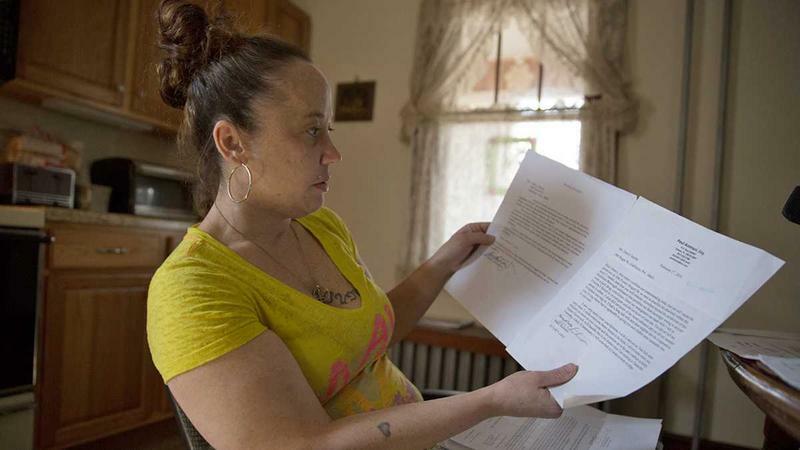 A proposal for a $15 deed and mortgage recording fee awaits Gov. Tom Wolf's signature. 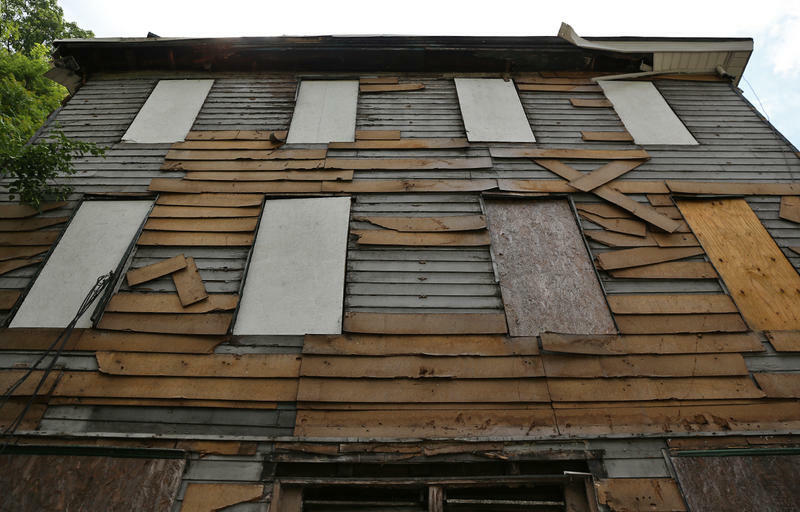 The fees collected would go to counties, which would have to use the money to demolish blighted structures. About 17,000 school-aged refugees move to the U.S. in an average year, an estimate that's a few years old and likely growing along with overall resettlement activity. But no one is tracking how young refugees fare in school here. 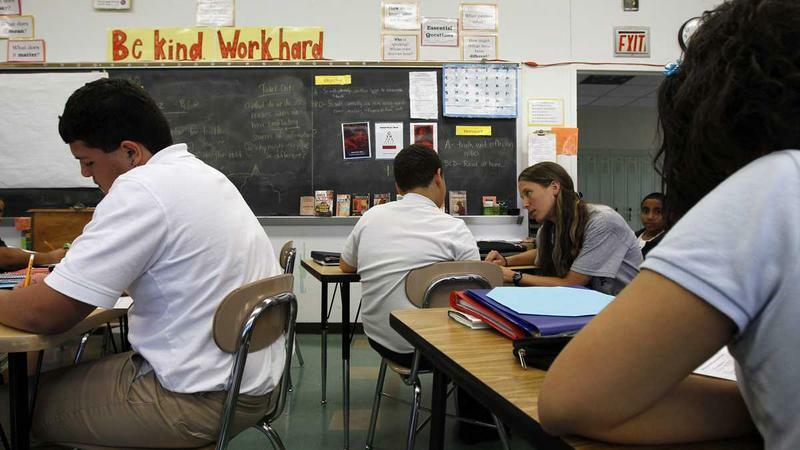 Georgetown University released a study earlier this year looking at education access by students with limited English proficiency. It focused on undocumented immigrants. 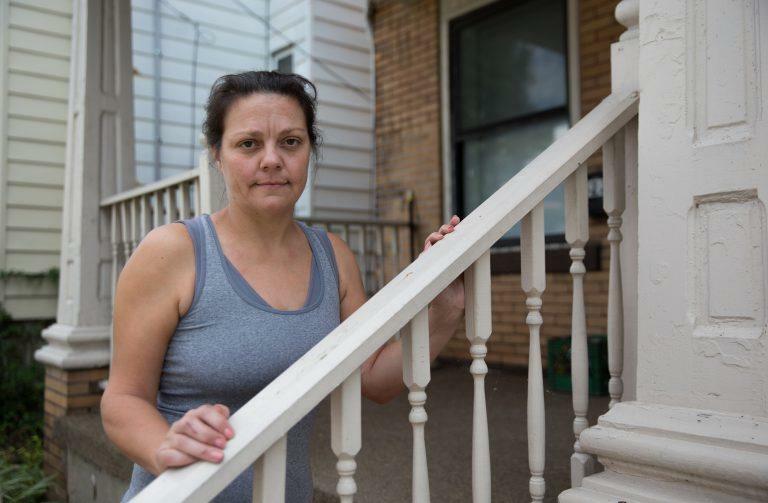 Lead-based paint remains in homes in cities nationwide, including many in Pennsylvania, despite long-standing awareness of health risks to young children. So Hamilton Health Center, located in one of Harrisburg's most distressed neighborhoods, already does free lead-exposure screenings for children under six. But a new partnership with the city will mean new equipment for the center to facilitate faster testing and response. 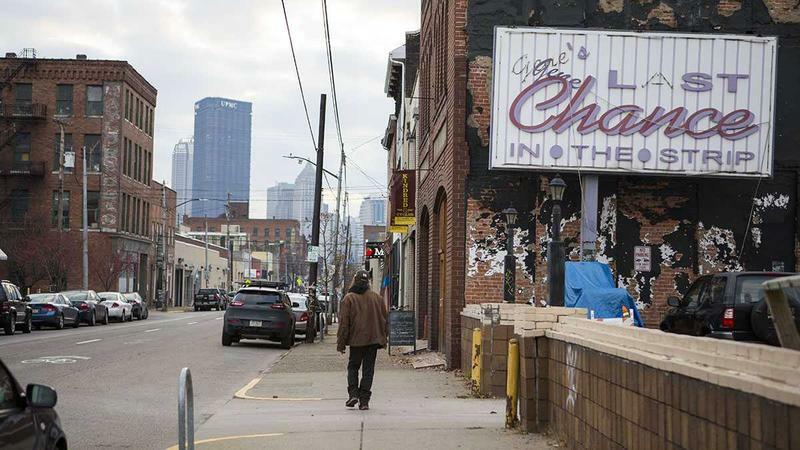 In a handful of Pennsylvania communities, it’s illegal for private landlords to rent to people convicted of a felony drug offense within the past seven years. That could change if one woman’s lawsuit is successful. Her name is Darcy Smith. 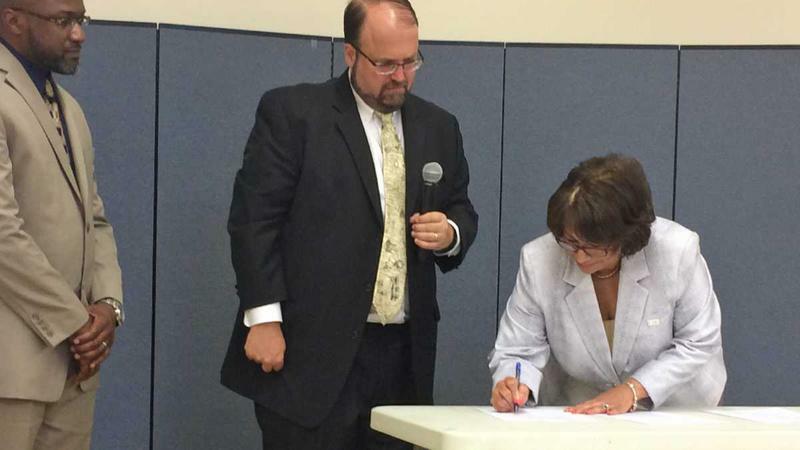 She lives in Gallitzin, a 1,600-person borough in Cambria County. Legislation dealing with pensions has, for decades, received a once-over by actuaries working for the Public Employee Retirement Commission, or PERC. The point is to have PERC actuaries' objective analysis. That's apart from information provided by bill sponsors and actuaries working for potentially-affected retirement systems. The first thing you see inside Sunbury City Hall is Mayor David Persing's name on an office window. Today, Persing's got back-to-back appointments running past 5 p.m. He's taking them at a conference table that fits easily in his chambers, along with a large, sturdy desk and ample shelving. Persing is the part-time mayor of a town with fewer than 10,000 people. 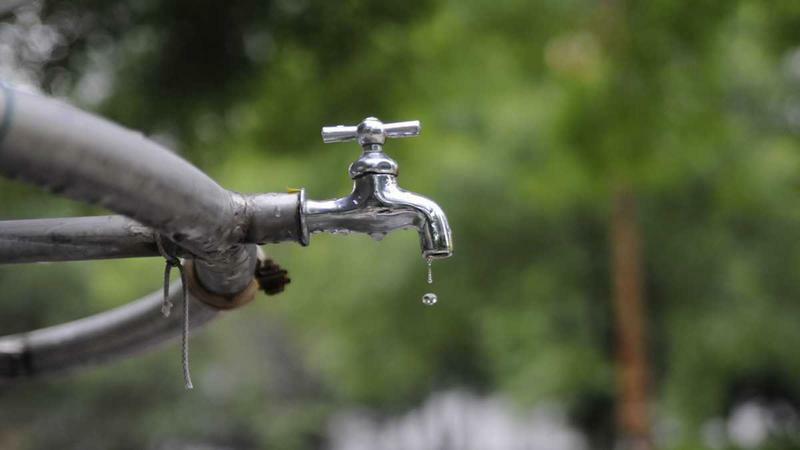 Many of the commonwealth's roughly 2,000 authorities manage essential public assets like water and sewer systems. Basically, local governments create the authorities, appoint their boards and delegate responsibility for assets (airports, stadiums, public parking facilities, water and sewer systems), effectively increasing City Hall's taxing power and the community's borrowing capacity.